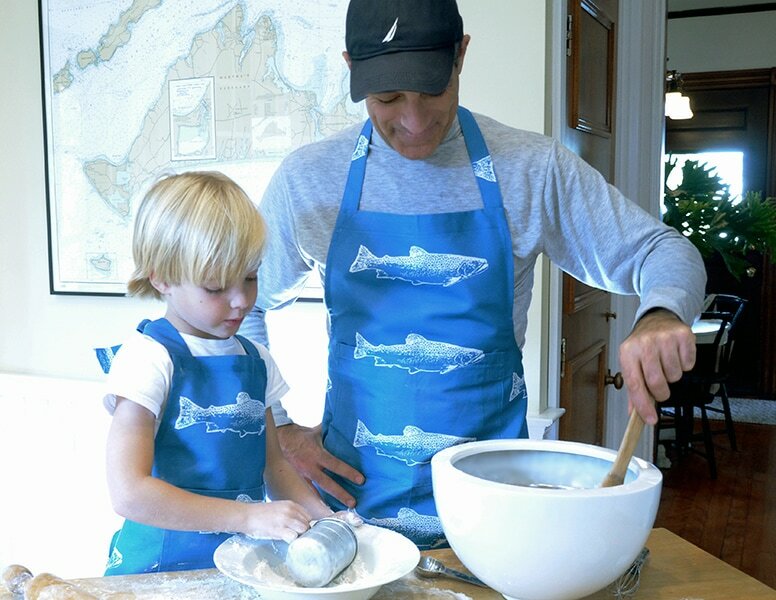 The way we see it, an apron is a family heirloom, to be passed from one generation to the next. We make that timeless tradition of cooking together extra special ​with our classic aprons, a delightful gift for all your favorite chefs! In 100% cotton and beautifully crafted, our adult aprons are equipped with our "Kitchen Conversions & Equivalents Chart"©, sewn into the front pocket ​for handy access to key cooking and baking measurements.